New England Treatment Access in Northampton, Massachusetts. The interior of New England Treatment Access, in Northampton, Massachusetts, looking towards the medical marijuana counters. Any day now, Northampton, Massachusetts, will be home to the first — or at least one of the first — recreational marijuana shops in the state. It'll be attached to an existing medical marijuana dispensary just off the highway. Local officials are getting ready for the opening. We checked in with police chief Jody Kasper and asked her what she's expecting. Jody Kasper, Northampton police chief: In the short term, our primary concerns — especially for the first few weeks of operation — our main concerns are traffic, both vehicle and pedestrian traffic around the area. NETA, the facility in Northampton, is on a very small side street with two typically busy streets kind of going up each side. So we'll have officers who are posted there that are going to be waving drivers in and out, just trying to make sure we're not having any sort of accidents in the area. Carrie Healy, NEPR: Wow. A big job ahead for the police department. Is this going to cost a lot of money? The money for the traffic details, for instance — the officers that are actually going to be posted right near the facility to assist pedestrians and drivers — that's hired by NETA. They understand that they're increasing traffic, so they're going to be paying for that. So that's not out of the city's pocket. As far as the cost of just how will recreational marijuana impact our community and cost? I couldn't say that. You know, for now we're going to have to kind of wait and see what happens. We, of course, have been looking at the data coming out of the states that have already switched over to recreational marijuana. We see a big increase in impaired operators from marijuana, as well as youth use. So I certainly think we have our work cut out for us around education. State law says if you're transporting a legal amount of marijuana in your car, it has to be stored in a closed container in the trunk or in a locked glove compartment. You know, a lot of cars don't even have lockable glove compartments anymore or SUV don't have trunks. How strict are your officers going to be on this if somebody ends up getting pulled over? I think the spirit of the law is they don't want people openly using marijuana while driving, much like alcohol. You can't have an open container of alcohol in your vehicle either, so it's really viewed the same way. The goal is to ensure that people who are inside a vehicle are not using marijuana while they're operating. 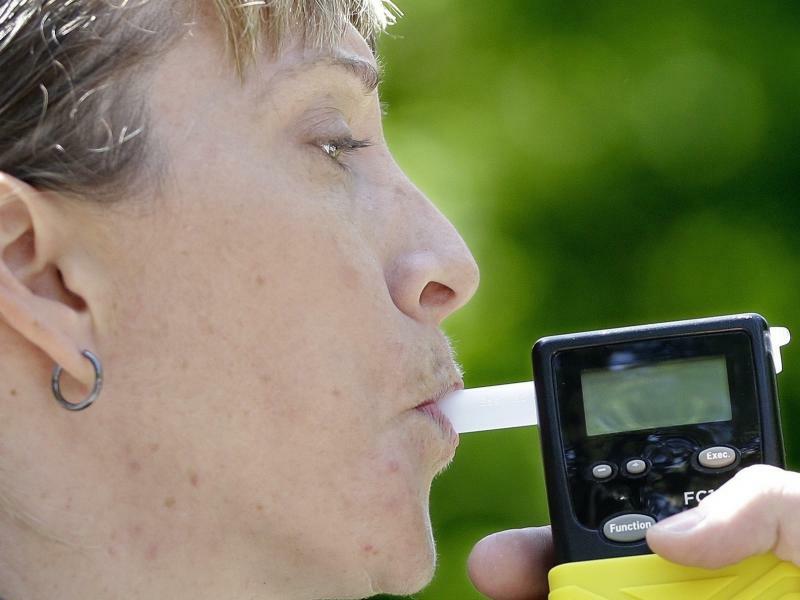 Now, driving under the influence of marijuana is just completely illegal, although there's no specific tool like a breathalyzer for measuring alcohol impairment. What does the cannabis impairment test entail? Is there one and does it hold up in court? Right. It's very tricky. So back when medical marijuana came into our community a few years ago, we sent three of our staff members — two initially, and then a few years later, we sent one more. So we have three who attended the drug recognition expert training. So [they're] our DREs. Essentially, they get called out to roadside car stopped, where there is no odor of alcohol, but there are signs of impairment, [and] possibly there's admitted use. So on the side of the road, there's still going to be doing the things that you and I think of as traditional impairment tests. You know, the nine-step walk and turn, a finger to nose — those sorts of tests will still be done. If impairment is detected, we know they're impaired, but we don't know by what, then they can come back to the station and do a more thorough test. That test is more medical. [It looks at] pupil dilation, blood pressure, perhaps the urine test. It really transitions over to a more medical test. In general, how long is one supposed to wait in order to legally drive after smoking or consuming cannabis? Yeah, that's a good question. I actually can't give you an answer on that. So there's there's no rule of thumb, I guess, then? We can direct some people towards [Massachusetts] Cannabis Control Commission, who may be able to provide some answers around regulatory questions. But yes, it's a whole new world. It's been legal for a couple years now for adults to possess small amounts of marijuana. They're not supposed to consume it in public and, of course, police officers can write tickets for that still, right? Have they been doing it or just issuing warnings? We have written very few — under five, I would say — over the last year. You know, it's really hard. The smell lingers in the air for a long time, so people downtown or wherever they're walking by, they may smell it and then call us. But by the time we get there, the person who was smoking it is long gone. And in many cases, where we do stumble across people who are using, I think most of our officers are issuing verbal warnings in some cases. And unless there are ongoing multiple problems that we deal with all the time, they may end up getting a civil citation for it. The first retail marijuana store east of the Mississippi could open soon in Northampton, Massachusetts. 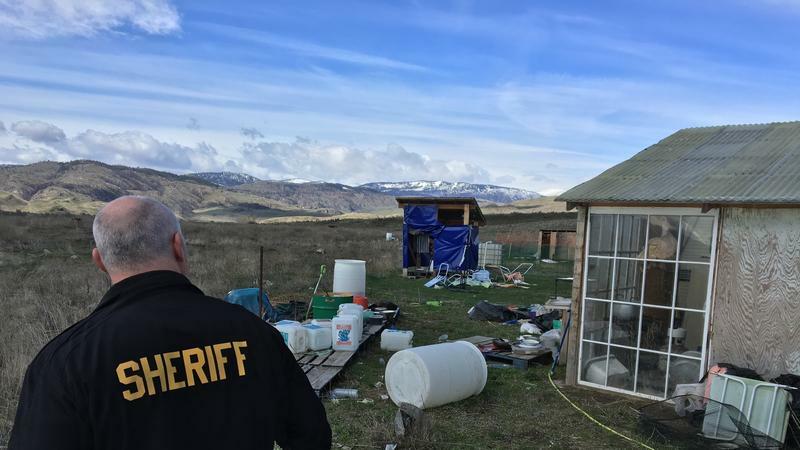 On a big-sky plateau on the eastern slope of the Cascades, a 10-acre parcel of land has been trashed by illicit pot farmers. Abandoned equipment rusts and jugs of chemicals molder. Marijuana legalization wasn't supposed to look like this. Five years into its experiment with legal, regulated cannabis, Washington state is finding that pot still attracts criminals. Recently, I decided to revisit my youth and go to a Dead show. For the uninitiated, Dead & Company includes a few original members of the iconic '60s band The Grateful Dead, plus a few other musicians. The Massachusetts House has delayed a vote scheduled for Thursday on changes to the state’s marijuana law. There were problems with the bill's language and plenty of criticism of some of the proposed changes to what voters okayed last year. The ballot question law has not been fully implemented, but possession of small amounts of pot has been legal for adults since mid-December. Police across Western Massachusetts tell us that -- so far -- little has changed. A group of five Hampshire County colleges is increasing payments to the cash-strapped Pioneer Valley Transit Authority to help keep three bus routes between the campuses running.